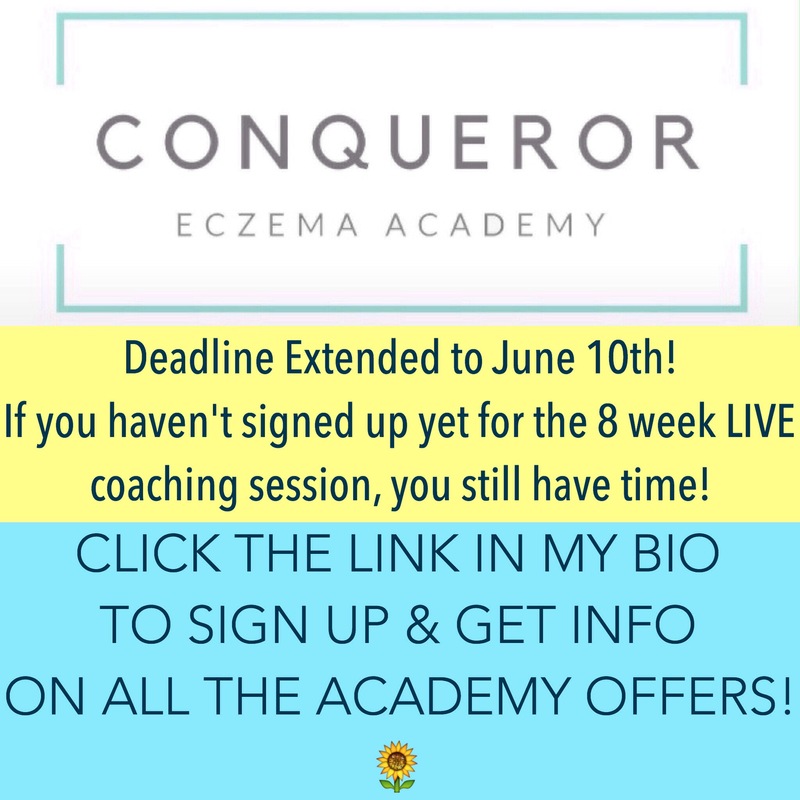 Hey guys, Abby of @primephysiquenutrition and I have extended the deadline for the Conqueror Eczema Academy LIVE coaching session to June 10th! Each one of our past members have loved being apart of our community, learning all about natural healing for life-long health AND have all seen results within the 8 weeks! It’s so wonderful to get to know everyone from all over the globe and relate with one another in their healing journey. I’ve been through the worst of it (26 years of topical steroid use, and a Hodgkins Lymphoma cancer conqueror) and thankfully I am 6 years topical steroid free. Although I’m still a work in progress, it’s been amazing seeing my skin and overall health repair over the years. It’s so rewarding to help our participants in their journey, encourage them through their struggles and share all I’ve learned and continue to learn to help me heal from the inside out. I hope you’ll join us and learn to get your health back on track as well!